High quality solid links, weighing approx. 44.0 grams of Guaranteed 14K Solid Gold. 8 1/2" length (available in all sizes by inquiry). Available with matching gold chain. 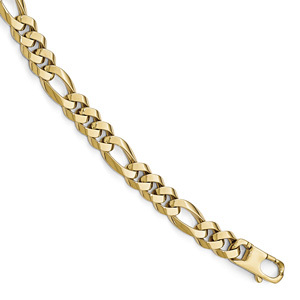 We guarantee our 14K Gold Figaro Link Bracelet (12mm) to be high quality, authentic jewelry, as described above.